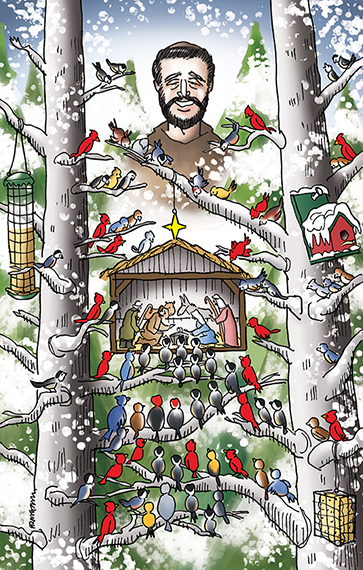 A 2012 Christmas cover illustration for the Inland Register, the monthly news magazine for the Roman Catholic Diocese of Spokane, Washington, USA. 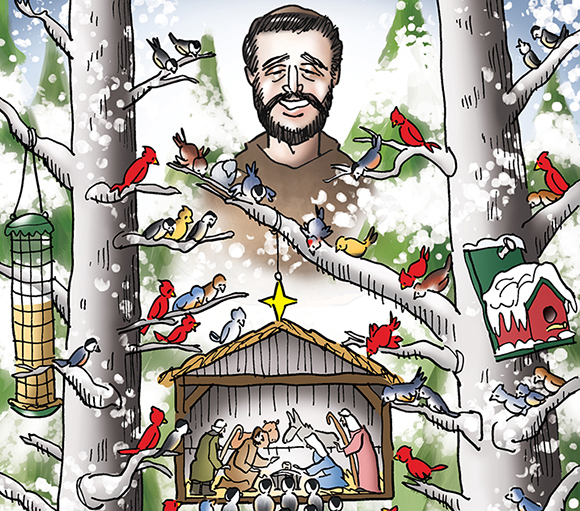 That’s Francis of Assisi, patron saint of animals and the environment, smiling in the background. 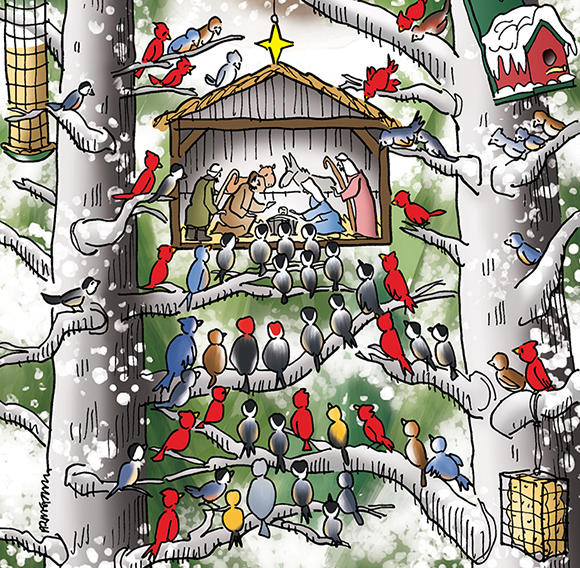 Scroll down for a couple of detail images.